Notts County have signed striker James Spencer until the end of the season following his release by Huddersfield. The 22-year-old, who played only twice for Huddersfield after joining in 2010, spent time on loan at Scunthorpe this season. 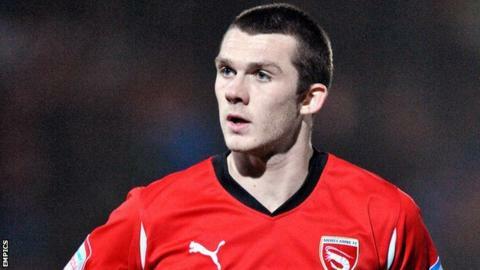 He scored one goal in 16 appearances for the League Two club and also had loan spells at Brentford and Crawley. Spencer will wear the number 16 shirt and is in contention to make his Notts debut against Coventry at the weekend.